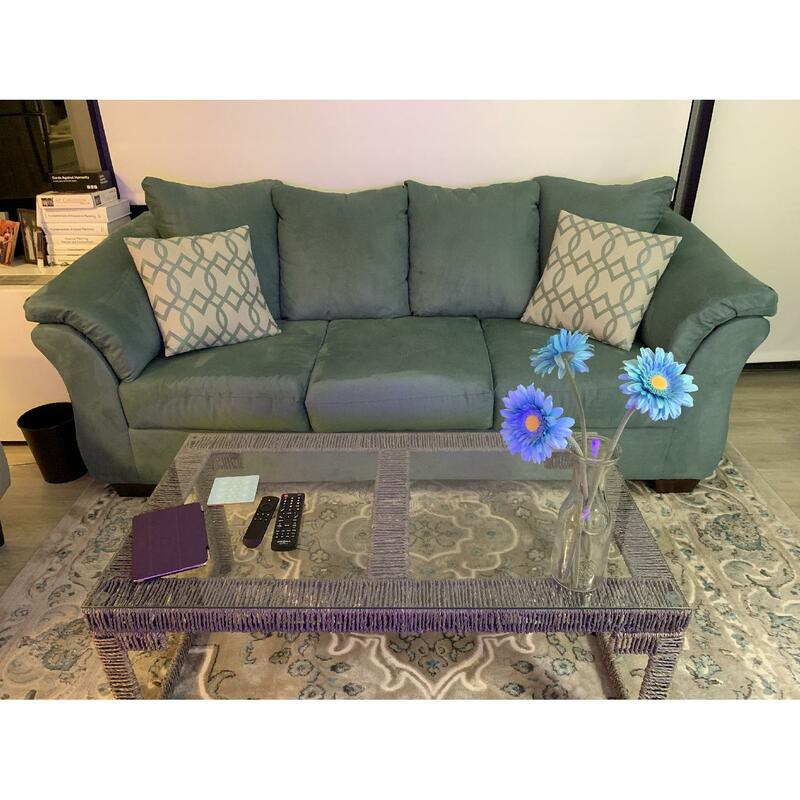 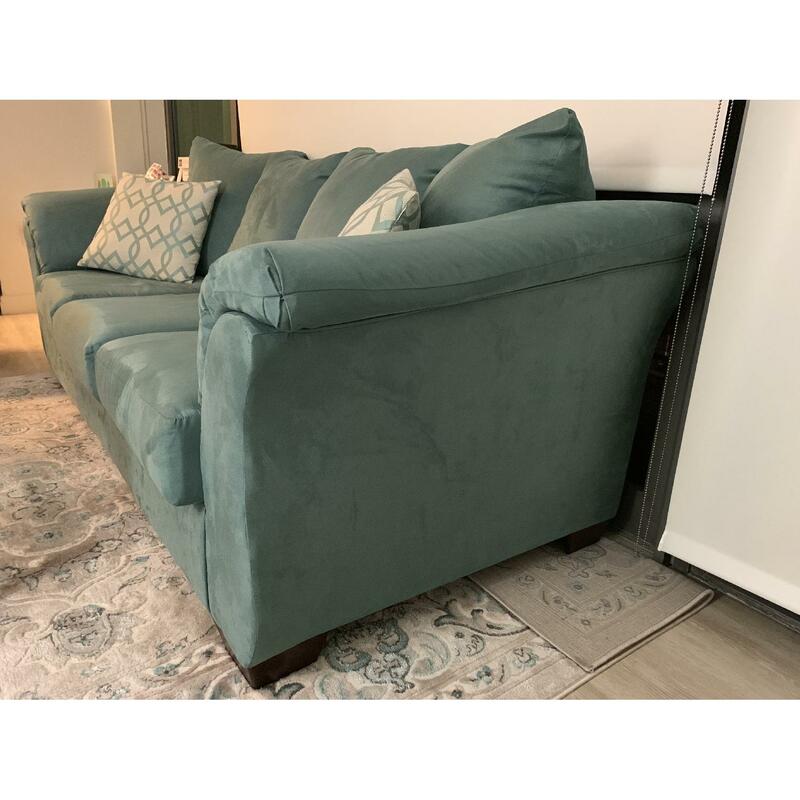 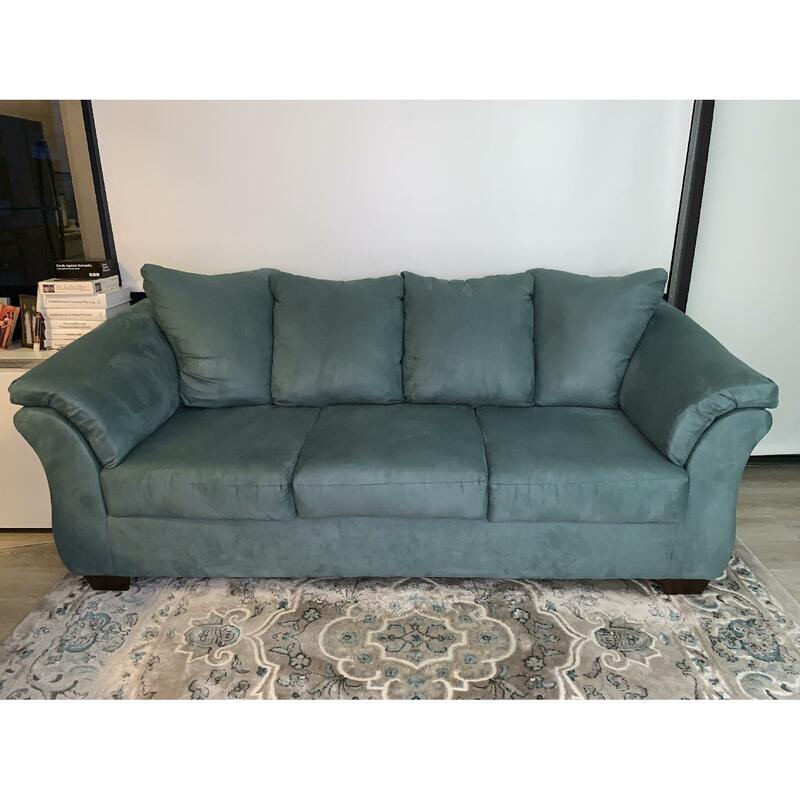 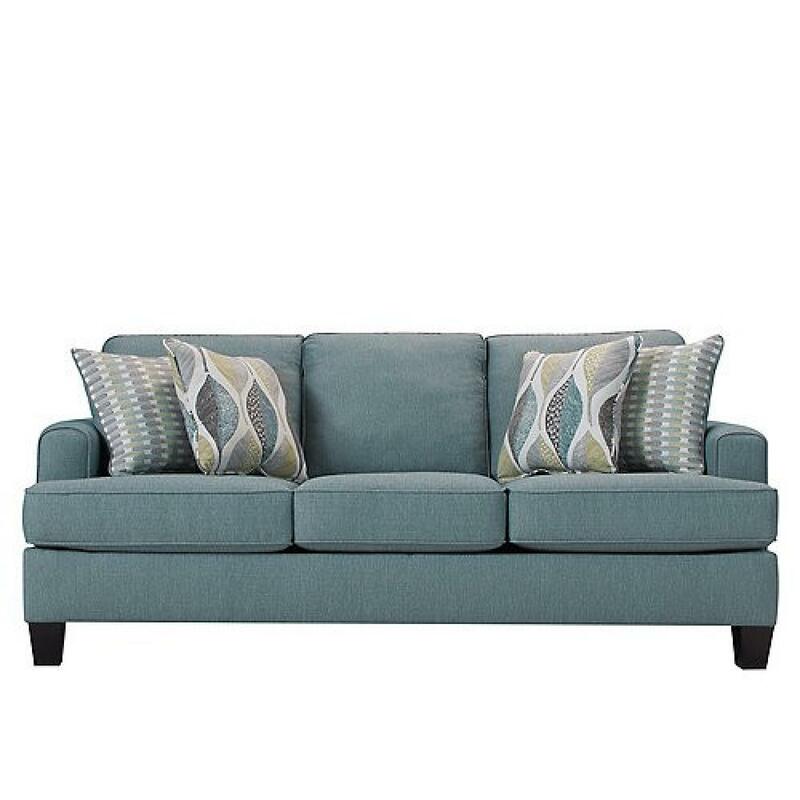 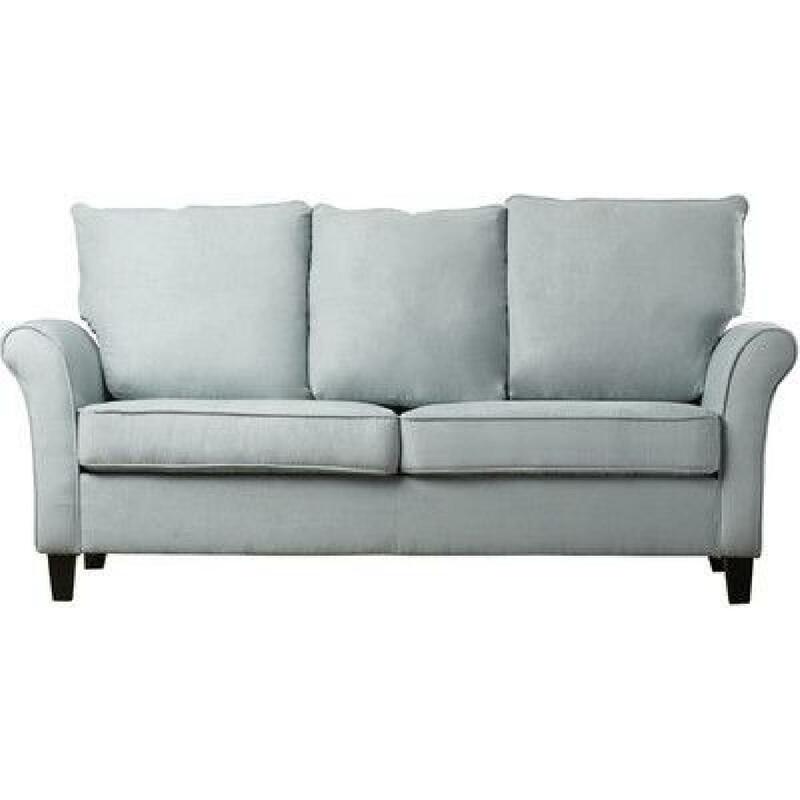 Selling a gorgeous sky blue polyester upholstered sofa. 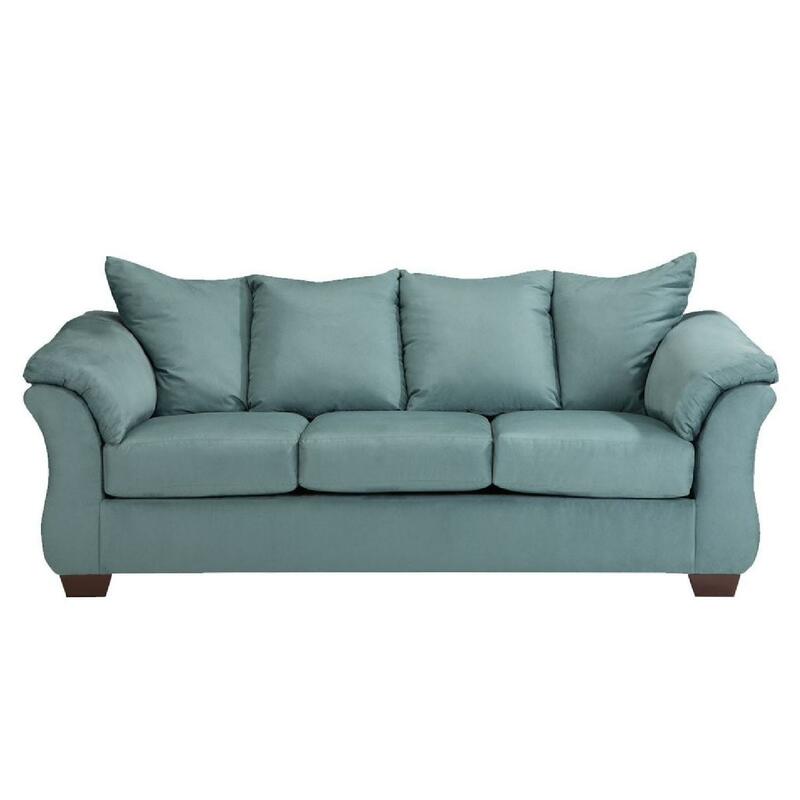 Well kept, clean, no wear and tear. 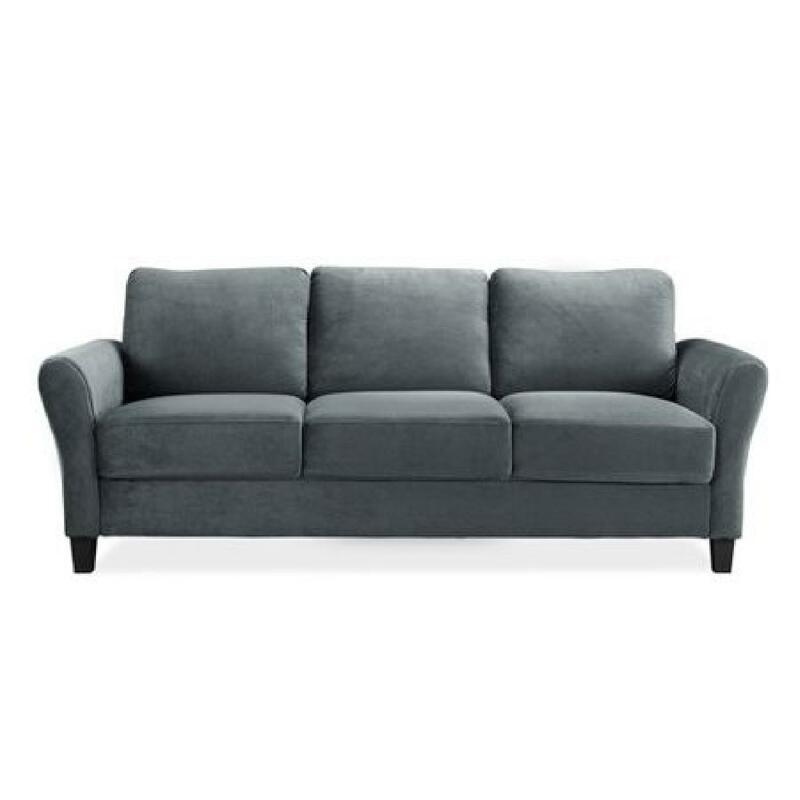 I LOVE this couch, but I’m now looking for a sofa bed.